Is your little one on the road to doctorage? Well, even if they aren't, there is no reason you can't encourage them anyways! 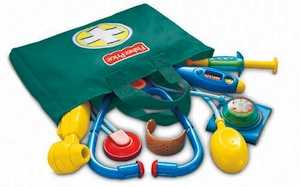 This medical kit includes all the little tools your doctor to be might need including a working stethoscope.